I was recently asked to judge the Brisbane Arcade Shopping Experience competition where one lucky person could win $500 to spend in anyone of the unique Arcade shops. I was honoured to be asked to manage the competition on behalf of Brisbane’s oldest and grandest shopping Arcade and thoroughly enjoyed admiring all the fabulous Arcade Christmas photo moments people captured. 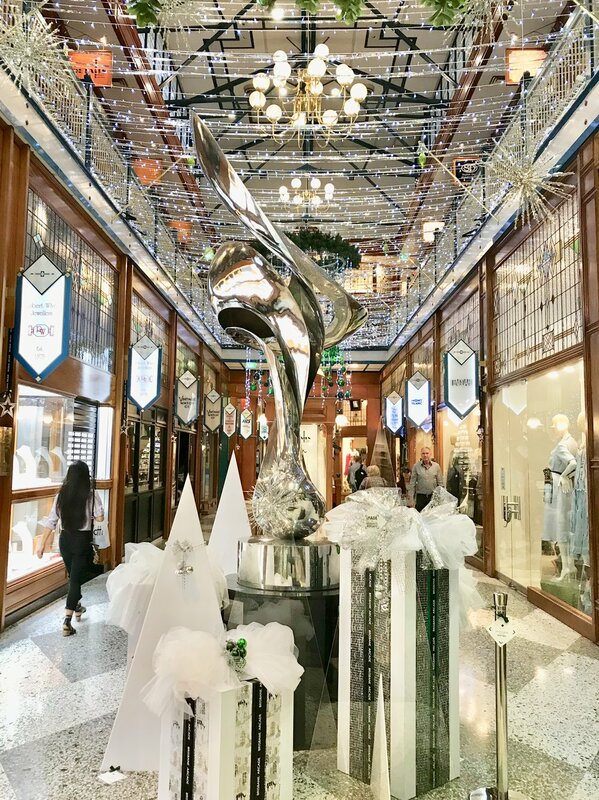 This year’s decorations were colour themed magical silver with a touch of festive green which turned the Arcade into a sparkling Christmas wonderland. There were so many beautiful images submitted by shoppers using the competition hashtag #sparklebrisbanearcade that it was difficult to choose just one winner. As a result of the number of high quality images the Arcade and myself were thrilled to be able to award two additional highly commended prizes of a $100 Brisbane Arcade shopping experience. 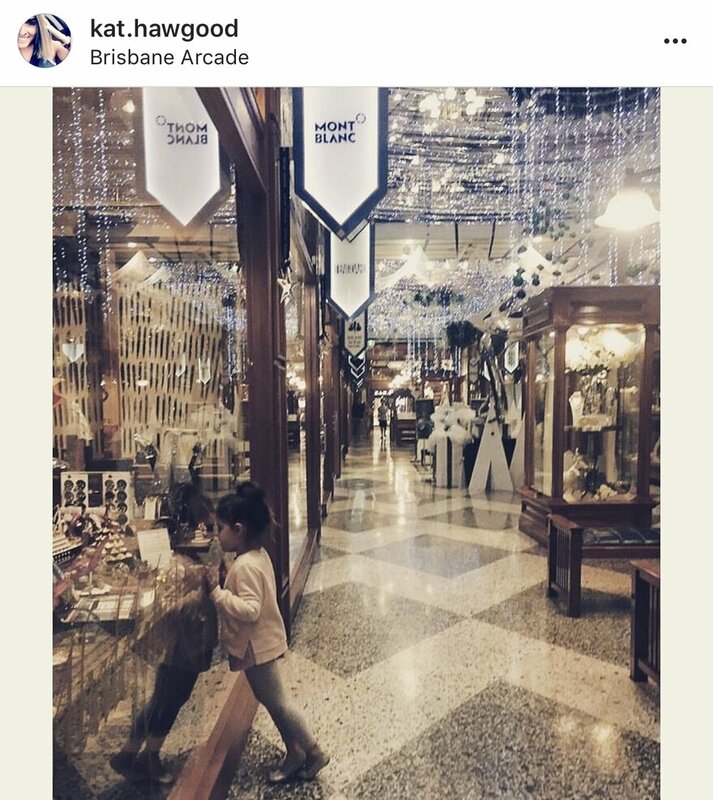 Here are the winning Instagram images, first place was awarded to @briankiss for his clever capture of the Christmas decorations, at an original angle, as entering the Arcade from the Queen Street Mall. Highly commended was awarded to @kat.hawgood for this beautiful moment she captured as her daughter was looking into the window of The Pen Shoppe. 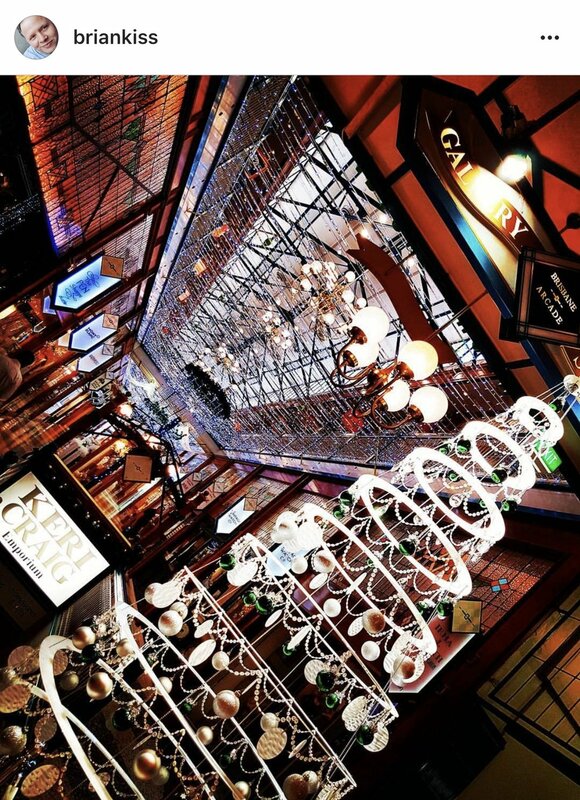 Second highly commended was awarded to @cazncam for her stunning image of the Arcade highlighting our magical Christmas tree. If you haven't experienced the beauty of Christmas in the Brisbane Arcade yet, you still have time to be mesmerised by the sparkling Christmas installation with extended trading hours this week.